Is The Kyani Network Marketing Business Opportunity Simple Enough For a Child to Explain? Kyani is not an overly complicated business to explain. It is based upon three synergistic products that work together to enhance nutrition, reduce inflammation, and increase circulation. Kyäni has been growing rapidly since 2007 and has entered over 50 countries as a network marketing business opportunity. What I personally find to be very interesting is that Kyani has had slower growth in the United States when compared to Asia and Europe. It also seems as though Latin America is a tremendous opportunity for Kyani because at this point Kyäni is only in Mexico, Honduras, and Guatemala. The reason why Kyani is such an excellent opportunity in Latin America is because the market there is extremely saturated with Herbalife. Many little stores and kiosks are selling Herbalife and most families have at least two or three relatives who are selling Herbalife and Herbalife continues to grow in these countries. A cross comparison of the ingredients and sources used by Kyani and Herbalife will reveal two distinct product offerings as Kyani sources all of its whole food ingredients from the highest quality, organic vender. 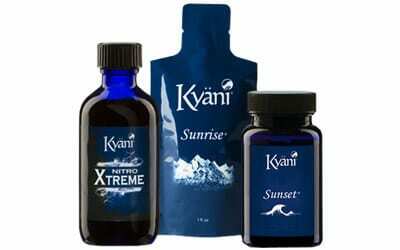 There are no synthetics, artificial sweeteners, or soy products being used in Kyani. Additionally, the business models are very different. Herbalife requires ever-increasing product purchases bye distributors in order to qualify for higher ranks. Kyäni only charges one modest fee, which is the use of one month’s worth of Kyäni products for each distributor (approximately $120 plus shipping and handling). And, the distributor does not even have to pay for this is or herself as it can be purchased by a customer and this distributor still qualifies for all of the ranks and bonuses. With this company, you’re not going to have a garage full of sample products that you need to sell. The development of Kyäni stems from cutting edge research into nutraceutical science. One thing that you’ll notice about the Kyani network marketing distributors is that they have almost all had positive, personal experiences with the Kyani products that has encourage them to proactively share and recommend Kyäni. These products establish a solid foundation for health and are not representative of any sort of gimmick or hoax such as weight loss within ‘x’ number of days. The American consumers have been a totally culpable of purchasing gimmick products that deliver unrealistic results for limited time periods. These quick fixes often backfire for individuals leaving them worse off than we were before. True health comes from a scientific basis that based upon adequate nutrition, adequate circulation, and a reduction of inflammation within the human body. This is what Kyäni delivers using the highest quality products available on marketplace. As a business person considering a network marketing product to represent, Kyani is one of the best choices available to you and should definitely be investigated. I encourage you to register for the next free webinar and learn more about Kyani and ask your questions. Please share this article about the Kyäni network marketing business opportunity.